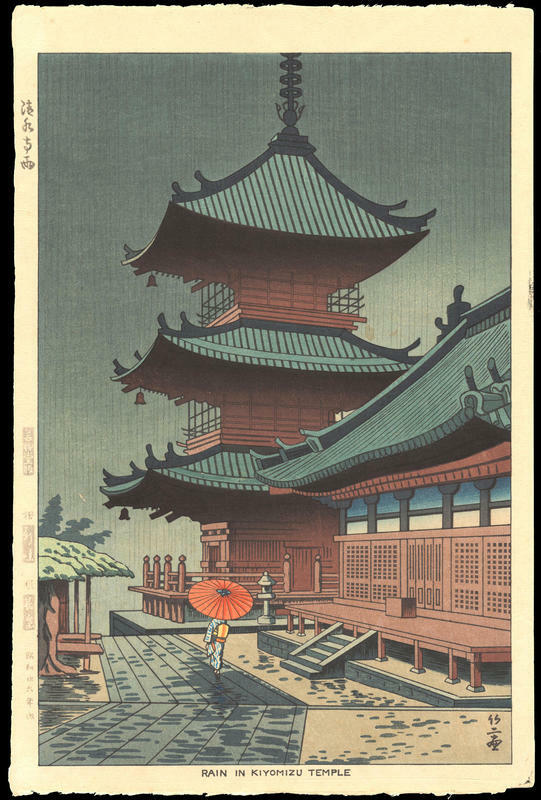 Asano, Takeji "Rain in Kiyomizu Temple" - Woodblock - Chinese and Japanese woodblock prints for sale, silkscreen, scrolls, watercolor, lithographs. 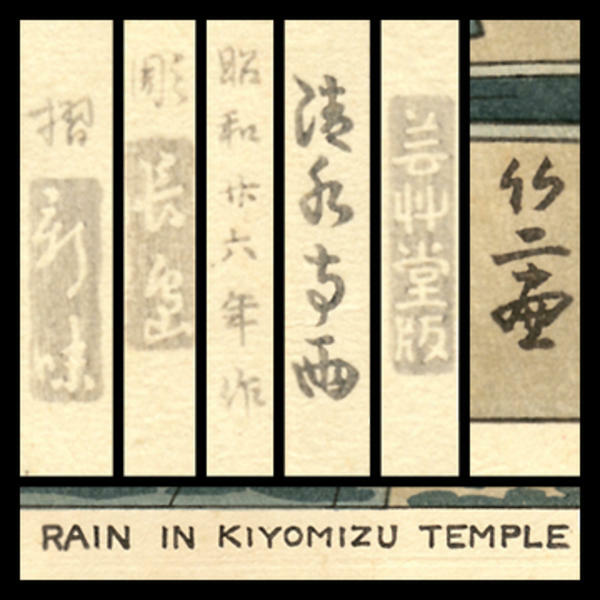 Artwork Details for Asano, Takeji "Rain in Kiyomizu Temple"
Notes: This is a first edition as indicated by the date text in the lower left margin. This artwork is from my personal collection and is not for sale. Search: See more works of art by this artist in my personal gallery and items for sale. © Dr Ross F. Walker. No part of the OhmiGallery.com website may be reproduced without the permission of Ohmi Gallery (Dr Ross Walker). To help prevent unauthorised use, all images on this website have been encoded with a secure digital signature.